You will not want to miss this end of the year extravaganza! Our great friend Bill Feuerbach has announced that once again he will host the 2015 “Kaywoodie Event”, to be held at the same new location as last year, in Fishkill, NY, on Saturday December 12th. 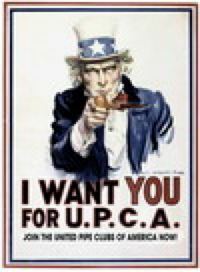 Be sure to submit your check for $55.00, along with the application found below, which, if you are among the lucky, first 48, will also enroll you into the 2015 Northeast Pipe Smoking (Slow Smoke) Contest, a UPCA sanctioned event, as soon as possible, as it is sure to sell out, and it always does! Visit the New York Pipe Club to register.